Malaysia has a population of 25 million. The country is multi-ethnic and multi-cultural, and has a rather unique constitution that declares Islam the state religion, whilst permitting other religion groups to abide by their own religion. It has a strong record of protecting its Christian minority. The majority ethnic group are the Malays (50.4%). 61.3% of the population are muslim, 19.8% Buddhist, 9.2% Christian, 6.3% Hindu and 1.3% traditional Chinese. 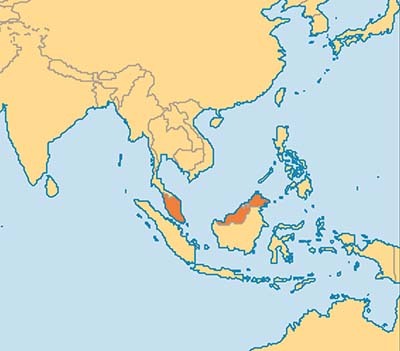 Preaching first began in the 1960s and recommenced in An administrative change sees the direction of ACBM work in Malaysia transferred to the New Zealand Regional Committee. Visits for preaching and support for our brethren continue to be planned. The gospel effort is mainly focused in Kuala Lumpur, being the capital and largest city in Malaysia. Seminars are held on Saturdays based around an advertised theme of the prophetic End Times and at the end of these seminars in each campaign period a good number of attendees have sought to be baptised. Our baptised brothers and sisters are now being filled in with information on a wider range of Bible topics. The new ecclesia is beginning to form a more closely knit group after a hectic 18 months since March 2016, during which time we have witnessed a total of 24 baptisms. These, along with three existing brethren in KL and three others in isolation adds to 30 baptised members. We thank our Heavenly Father for His continuing care and blessings.